Should I have a scan to get to the source of my pain? Let’s say you have a sore lower back. That’s not unusual, 70-90% of the population will suffer from back pain at some point in their life. You are unsure who the best person to see is, so you book in to see your GP for some advice on how to proceed. As a means of ‘getting to the bottom’ of what’s going on in your back, you are referred for an X-Ray and MRI. This is a common pattern in the health care industry for sufferers of musculoskeletal pain. Is it worth your time and money, and does it add anything of value to your treatment and rehabilitation? The short version? No. Unless you have a history of trauma and no signs of sinister pathology, a scan is more than likely going to be a waste of your time and money. Furthermore, these can lead us to experience uneccesary concern in relation to our symptoms, which we are known through science to exacerbate our pain further (more on that another time). Wanting a more detailed explanation? Read on. I’m sure you or someone you know or care about has been told that their back pain is due to a disc bulge, their shoulder pain the result of bursitis, their hip pain the result of a labral lesion or some other anatomical structure has a “finding” that is the cause of their symptoms. Truth is, there’s a chance it may well be. There’s even more of a chance that your symptoms ARE NOT the result of the findings seen on your investigation because all the previously mentioned findings are typically found in patients who undergo imaging and are completely painfree. Basically, if you were to take a whole bunch of healthy people and perform investigations including X-Rays, MRI’s, ultrasounds and CT scans on their healthy and pain free joints, chances are you’ll find the same disc bulge, bursitis, labral lesion or cartilage damage that is supposedly the cause of pain in others. So basically, scans have more of a limited place in determining what is the cause of someone’s pain. So back to the scenario mentioned at the beginning of this post. The evidence to suggest that imaging of the lumbar spine is unnecessary for low-back pain sufferers is seen not only in the research, but also in the guidelines for the management of low back pain by the American College of Physicians and the American Pain Society. It states “clinicians should not routinely obtain imagine or other diagnostic tests in patients with non-specific low back pain”. This recommendation aligns with research showing 80% of people without any back pain were found to have disc degeneration on imaging. Disc bulges in the lumbar spine are also a common finding in people without any symptoms at all. Speaking about the body more generally, this theme applies across all joints. In 51 people without any shoulder pain, 78% of them showed signs of bursal thickening, 65% ACJ degeneration and 39% showed cuff tendinopathy. (Girish et al. 2011). In a separate study on 53 people without any shoulder pain, 72% of people were found to have SLAP lesions (Schwartzberg et al. 2016)In 710 people with no knee pain (Guermazi et al. 2012), 68% of individuals were shown to have cartilage damage, whilst 72% had the presence of osteophytes. Take any joint in the body and you’ll find similar statistics. 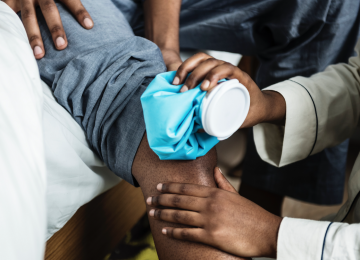 If someone has had investigations done prior to attending a Physiotherapy consult, we’re always curious to examine them and read the investigative report. 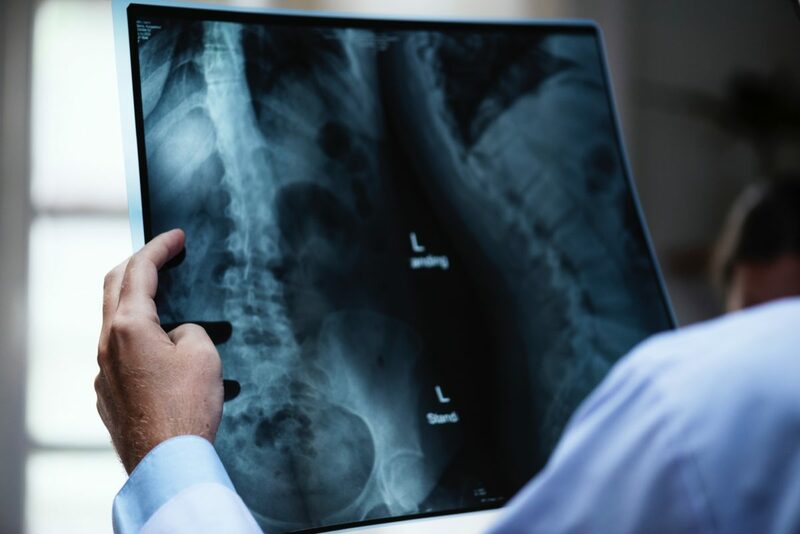 From a treatment point of view however, MRI’s, X-Rays, ultrasounds and CT scans generally won’t change the way we’ll assess or manage your condition. You’ll follow the same treatment path as anyone else – pain relief, strength and mobility work, restoring function and preventing re-injury. If that doesn’t get you back to 100%, then we might look elsewhere for answers, but that’s rare and a long way down the track. The healthcare landscape has changed. The evidence is overwhelming towards exercise as a means of treatment for the musculoskeletal conditions and the lack of significance at times of investigative findings including those on X-Ray and MRI. It’s just taking a while for the medical professionals (including some Physios!) of the world to become privy and change the patterns of behaviour that can be unhelpful or even harmful on an individual’s road to recovery. Next time you’re in pain and want to get to the source of your symptoms, see your expert Physiotherapist. If you’re told you need a scan, query your health professional and tell them what you’ve read here. In most cases, you could get away with savings your pennies and not have a scan! If you’re in pain, not functioning to the level you want or not reaching your physical goals, book online or call the clinic on 8490 0777. Brinijiki, et al. 2014, “Systematic literature review of imaging features of spinal degeneration in asymptomatic populations.” American Journal of Neuroradiology (2014) 36(4): 811-816.